Did you have a nice long weekend? I did. Having the 4th of July on a Friday stretched out the weekend for me. We relaxed around the pool and I even found time to take a nap one day ... but I also got a lot of work done. It seems I have too much to do right now and not enough time. But that is a good thing - I can't complain about having too much work, right? 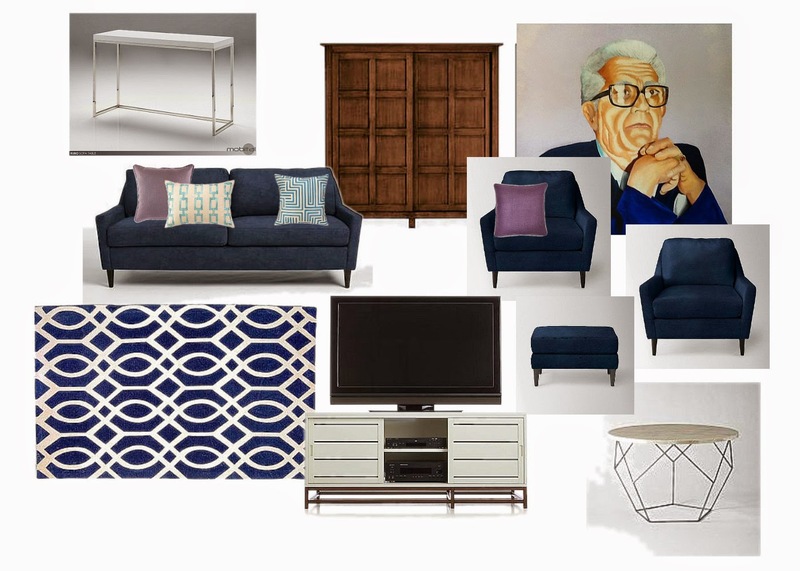 This is a mood board for a new client - I am working on her TV room / office / workout room. It is a long and narrow room that has presented a multitude of problems; a low ceiling, too many windows and doors / not enough wall space, too many functions for one small room, and an air conditioner vent that is in the most inconvenient spot. But you know me, I love a challenge. In fact, I told my intern after we went out for our first meeting that this room should be an assignment for design students or given to the contestants on Design Star. Once I finished space planning the entire room, I cut the room in half and started with the furniture on the TV side of the room. 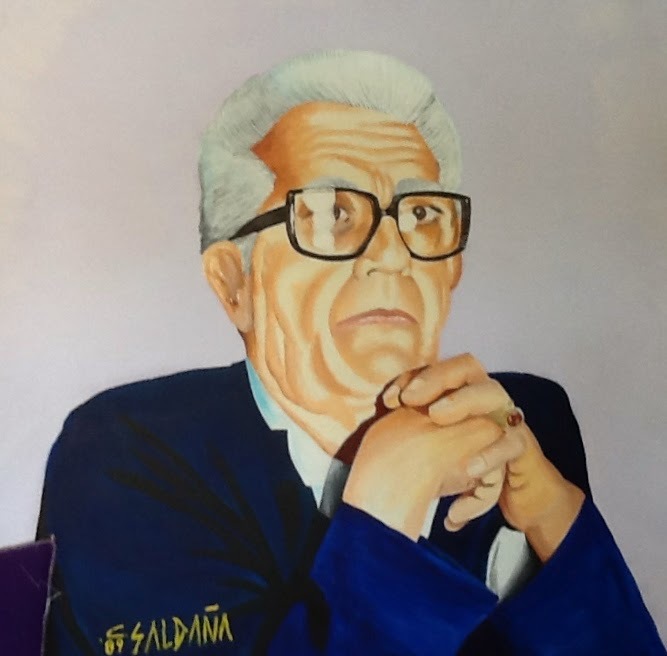 My inspiration was this painting done by the client's father-in-law. You can't tell in this photo but the background is a light lavender. It is a large canvas - 48x48" and will be a focal point in the room. I am crossing my fingers that my client loves the plan so far. I am excited about this space - it is going to be a great "before and after". I plan on using some painting tricks to raise the ceiling a bit. Happy Monday everyone - I hope you have a great week in store for you! I LOVE that artwork. And your design is awesome, I hope your client likes it, I know I would.